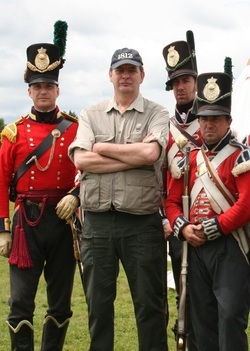 Donald Graves is a writer and historian specializing in Canadian military history. Educated at University of Saskatchewan, he has worked as a historian for the National Historic Sites Service, the National Archives of Canada and the Canadian Forces. He is currently the Managing Director of the Ensign Heritage Group. He served briefly in the Canadian Army militia. Donald's work has been widely praised. A review by Jon Latimer in Times Literary Supplement (13 April 2007) declared: "Donald E. Graves is probably Canada's foremost military historian."